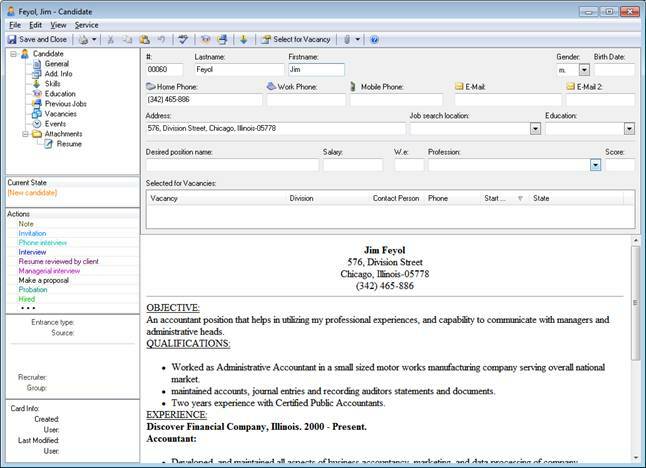 E-Staff provides automatic processing of résumés (CVs) from Microsoft Word/OpenOffice documents, emails, or Web sites. Quick import of a résumé from an email message currently opened in your email client, with a single click of an installed button (available for Microsoft Outlook or Lotus Notes). Mass import of résumé from a mailbox (available for most email clients). Quick import of a résumé selected on a Web page in your browser. Import of résumé fromMicrosoft Word/OpenOffice files. 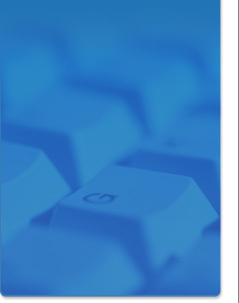 When importing from an email, a résumé may be either in message text or in attached document. Regardless of the method used to import, E-Staff automatically extracts key information and puts it in appropriate fields in a candidate card. These fields include Name, Date of Birth, Gender, Phones, E-Mail, Address, Desired Salary.